Since the time I can remember, I have always wanted to be a mother. The day I married Craig was a joyous occasion and day of celebration for it marked the day I began my own, forever family. As time moved forward, the yearning to have a child more than consumed me. But one year went by, two years, three, and then four. My whole heart and soul longed for a precious baby, and instead I was left with the emptiness that seemed to fill my entire being. 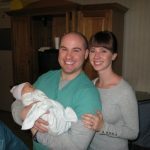 During our struggle with infertility, my husband supported me every step of the way, whether it meant having invasive surgery, another procedure done, more tests, or just holding me as I cried myself to sleep at night. We had always talked of adopting one day, so in the summer of 2008 we finally decided to take the step and had adoption papers in hand. But for some reason unknown to me at the time, I felt that we should hold off on turning them in. I couldn’t understand such an answer as I had already waited long enough for a child, and we had been told that sometimes it could take years before a baby would be placed in your home. I knew there was a baby girl who was supposed to be in our family, and I tried to wait patiently for that time to come. After much prayer and consideration, along with the power of priesthood blessings, we finally received the answer I had been waiting for. In May of 2009 Craig and I applied for adoption through LDS Family Services and were approved two months later. Soon after that we received an email from a birth mother who was due in December with a baby girl. Her name was Jennifer, and little did we know how much she was going to change our lives. Exactly one month later she announced that she was going to place her baby with us. During the next months ahead, I watched as Jen’s belly grew bigger, along with the love I had for her. She was going to give me something that no one else could give. She was giving me the gift of being a mother. Before we knew it, December arrived and we were at the hospital awaiting the arrival of our little girl. 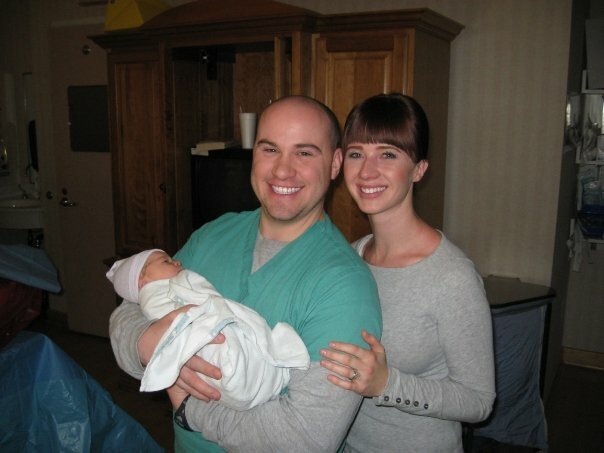 On December 11, 2009 our precious baby was born. What joy and gratitude filled my heart when I held Elizabeth for the first time, knowing this special spirit was the answer to our prayers. I knew without a doubt that she was meant to be in our family. When we returned to the hospital the following morning, and opened the door to Jennifer’s room, we found her sitting in a chair rocking Elizabeth with tears flowing down her cheeks. My heart began to break for the words I knew were coming but did not want to hear. With her head bowed, Jen said that she didn’t think she could sign the adoption papers. Since Craig’s parents had just arrived at the hospital, he left to go find them and explain what had happened. Feeling as if I could not breathe, I turned and left the room as well. Outside the room, I could not hold it in any longer and broke down in tears. Jennifer’s mother soon found me in the hall and wrapped her arms around me as we both cried together. She whispered words of encouragement, but all I could feel was despair. A kind nurse found Craig and me a quiet room and offered me a box of tissues. The tears continued to fall as I stared out the window while Craig paced the floor, both of us feeling helpless and not knowing what to do. Suddenly I was overwhelmed with the spirit telling me to ask for a priesthood blessing. I immediately told Craig to find his father, and upon his arrival, the blessing was given. I cannot recall the words of this blessing, but never in my entire life have I felt such an instant feeling of comfort and peace as I had when they placed their hands upon my head that day. I knew then that everything was going to be okay, and that it was important to have faith in the Lord’s will. A short while later Jennifer left her room to go for a walk with a case worker from LDS Family Services so they could talk things through. While she was gone, we stayed with Elizabeth and I watched as Craig held her tiny hand and touched her tiny toes, trying his best to hold back the tears. When Jen finally walked back into the room, she stood before us with tears in her eyes and said, “I can’t take her away from you…” The tears flowed down my husband’s face and we all embraced. Motherhood has been everything I have ever hoped for and more. It is not easy, but I would not have it any other way. As I look upon my daughter each day, I am reminded of Jen and the sacrifice she made. An adoptive couple we knew once said, “We believe birth mothers have a right to choose. If she has the courage to place, she has the wisdom and right to choose her child’s parents. Our daughter’s birth mother is her first mother.” And so we feel the same for our daughter, Elizabeth, Jen will always be her first mother. And as my daughter grows, I will always help her remember that Jen will always love her. There is a special poem that was given to us on the day our birth mother announced to our families that she would be placing her baby girl with us. It is befitting of the two women who bonded over the love of the child they both share. The second taught you to live it. Aubrey, Craig and Elizabeth live in Highland, Utah. For the past three years, they have been hoping to adopt again and look forward to the day when Elizabeth gets to become a big sister! Aubrey loves every minute of being a full-time mommy, and both Elizabeth and her daddy are working on their education. Elizabeth attends preschool three days a week, while Craig will be finishing Nursing School this upcoming spring. 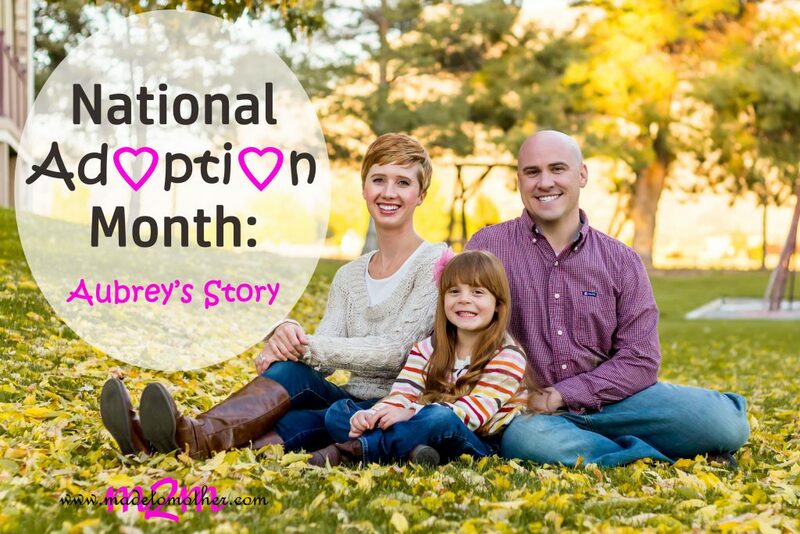 I enjoyed reading your story of adoption. You beautifully told the story about the depth of both a birth mother’s and adoptive mother’s move for your baby. Thank you. Such a sweet, powerful story. Thanks for sharing it with the Thursday Blog Hop! Oh my goodness, I can’t contain my tears. This was simply beautiful. What a victorious story. Thank you for sharing and for linking up to the #SHINEbloghop. Lizzie is truly blessed to have you both as parents. My hope is that you may receive as many children into your loving family as you so desire! This is so touching and beautifully shared! It made me cry. I love that you are able to understand the love of the birthmother while rejoicing in the precious gift of motherhood you have been given. It’s difficult for many people to feel both sides of that.